She was gone and an angel took her place, a broken frame with a wide electric face. Here We Go Magic is an ambient indie rock band out of Brooklyn, New York headed by frontman Luke Temple. Temple, who started the group out of a solo project in 2009, recorded Here We Go Magic's self titled debut album from home using a barebones kit, which included a 4-track recorder, one tom, a microphone, a synth and an electric guitar. Released by Western Vinyl, the album's ethereal ambient sounds and sparkling electronic textures made for critical success. 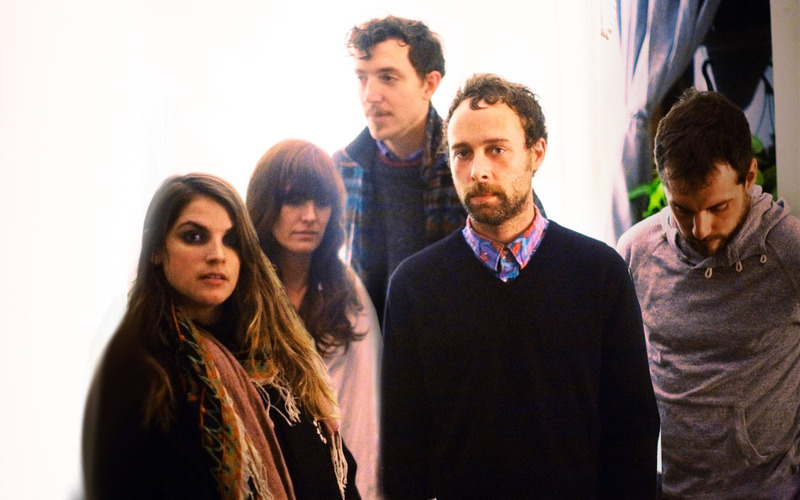 With label support and international hype, Temple brought together Kristina Lieberson (keyboards), Michael Bloch (guitar), Jennifer Turner (bass guitar) and Peter Hale (drums) to tour as a full group in 2009 with indie darlings the Walkmen and Grizzly Bear. Here We Go Magic's subsequent albums Pigeons (2010) and the January EP (2011) were released by Secretly Canadian Records out of Indiana. Usually when songs don't make it onto the final cut of an album, there's a good reason for it. But in the case of the six songs on The January EP, which were outtakes from 2009's Pigeons by Brooklyn band Here We Go Magic, they're strong enough to warrant their own special release. Opening track “Tulip” has an electro-psychedelic feel, similar to Oracular Spectacular-era MGMT. Singer Luke Temple is like a hypnotist, repeating the phrase “before they wake” over and over. The trippyness is enhanced by an abundance of harmonic layers over a marching band-style beat, and the botanical title leaves you wondering if the song is an homage to the flower power days of the 60s. Slowing things down is the ambient and heartbreaking “Hands In The Sky,” with Temple delivering lines about the death of a mother in his signature angelic, falsetto tone: “She was gone and an angel took her place, a broken frame with a wide electric face.” Similarly, “Song In Three” has a floaty and airy feel—but less heavenly and more cosmic than the previous track, as if it could be on a soundtrack to a lightyears-long journey through unexplored galaxies. At two minutes, “Hollywood” is the shortest song on the EP and it's also the most wonderfully haunting. It's like an otherworldly lullaby, with whispers of the ghosts of old Hollywood. Bouncy and upbeat, “Backwards” comes in out of left field—and it's easily the most straightforward and accessible song on the EP. “Mirror Me” rounds off the EP, with a tinny and industrial feel that subtly reveals itself through layers of other ambient sounds. It's hazy and electronic, like trying to piece together bits of a vivid dream before they slip away into obscurity. But luckily with Here We Go Magic's strength of creating vivid soundscapes, there's no chance of letting even album outtakes get lost on the cutting room floor.